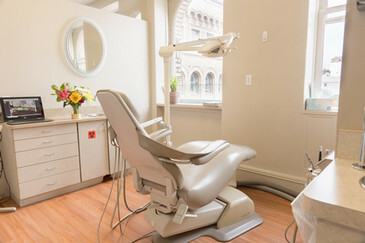 Dr. Nami Cho is a General, Cosmetic, and Implant Dentist located in Union Square in San Francisco. Dr. Nami Cho and her dental team are dedicated to providing excellent and personalized care in a comfortable environment that patients can call their dental home. We strive to establish long lasting relationships centered around quality and compassionate dental care. Our mission is to help you have a healthy and beautiful smile so that you can spend time living a healthy and beautiful smile so that you can spend time living a healthy and beautiful life. We understand how uneasy some patients may feel about their dental visits, and how we can make a difference in providing a relaxing and positive experience. Our entire team is dedicated to providing you with the excellent, personalized care and service to make your visits as comfortable and pleasant as possible. Click here to learn about appointments & payment options as well as find answers to frequently asked questions, fill out our patient forms & more. Please browse through our website and be sure to contact us if you have any questions or would like to schedule an appointment. You may also use our online Book an appointment form to schedule your appointment. Whether your dental needs are a complete exam and cleaning, a full-mouth restoration, or anything in between, we promise to provide you with exceptional care as we enhance the natural beauty of your smile. Here you will find the many procedures and services we regularly provide to our patients. I would like to start this review by thanking Dr. Nami Cho and her staff for taking such good care of me and my family. I was looking for a dentist since we recently moved to SF. I was lucky enough to be recommended to Dr. Cho by a co-worker. She's gentle, professional and has excellent bedside manner. Highly recommend her to anyone who is looking for an excellent dentist who is personable and caring! I've been going to Dr. Cho for a few years now and I was glad when I heard that she'd be opening her new practice right next to my office. I just got back from a routine cleaning and as always, she does a great thorough job and gets me back to work in no time. Highly recommended.